ACTIONS: Annual surveys to estimate population size; creation of the citizen scientist platform, GiraffeSpotter: Wildbook for Giraffe, for the identification of individual giraffes; development of a National Giraffe Conservation Strategy with the Government of Niger; translocation of giraffes to protected areas. It may surprise you to hear that giraffes, the iconic open plains animal of Africa, are threatened with extinction. Between 1985 and 2015, the world’s tallest mammal decreased by 36-40%. Some of the nine subspecies declined so drastically that they are now listed as Endangered by the IUCN. The West African Giraffe is one of the most endangered subspecies. Historically ranging across West and Central Africa, it is now confined to a small southwest corner of Niger. It underwent a dramatic decline in the 20th century, disappearing from the majority of its range and plummeting to approximately 50 individuals in the 1990s. The main causes were habitat loss and fragmentation due to human population growth, human-wildlife conflict, and firewood cutting in giraffe core habitat. Civil conflict, hunting for their meat, pelt, and tails, and environmental conditions like severe drought were also factors. The Government of Niger has been leading the charge on effective giraffe conservation; enforcement of a hunting ban has led to gradually increasing giraffe numbers, and more recently, they are the first range state to develop a National Giraffe Conservation Strategy, to secure the future for this iconic species. 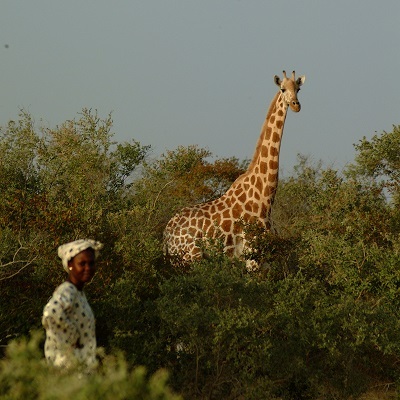 The Giraffe Conservation Foundation (GCF), the only NGO in the world that focuses exclusively on giraffe conservation, has also been instrumental in ensuring the West African Giraffe’s continued survival. 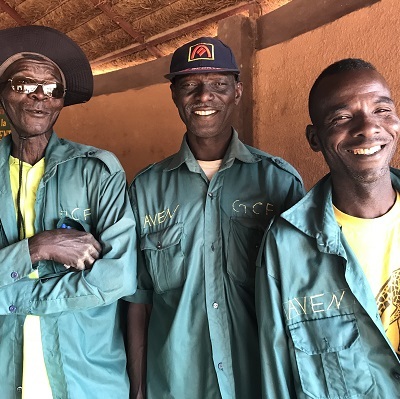 GCF provides technical and financial support to the Government of Niger, and supports conservation efforts in the field. With the assistance of Born Free, GCF worked with the Government of Niger and other partners (i.e. 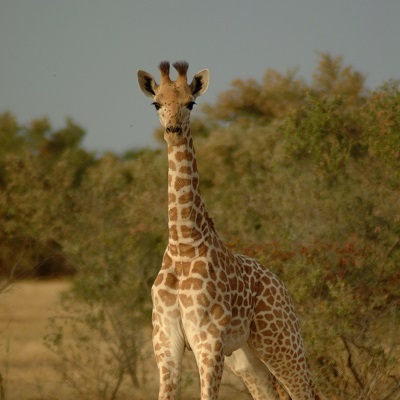 the Sahara Conservation Fund (SCF) the Association for the Valorisation of Ecotourism in Niger (AVEN)) to undertake the 2017 annual survey of the West African giraffe. Although it still remains Africa’s rarest giraffe, results showed the population has increased to about 607 individuals, marking an 11.71% increase since 2016 and over a 1000% increase since 1990. This is a hugely encouraging sign for their conservation! The survey also indicated that these giraffes are beginning to recolonize parts of their historical range. GCF and the Government of Niger are currently working on a ground-breaking new project to translocate giraffe to Gadabedji Game Reserve, Niger, in 2018. Adopt a giraffe today and support these endangered creatures.